At Audeliss we believe that hiring diverse interim executives can be the catalyst for change that organisations need. The business case for diversity is now established beyond doubt. Organisations that form teams of mixed gender, ethnicity, physical ability, age and sexual orientation are more representative of their customers. Together they offer a variety of viewpoints and a wider range of experience, which can improve decision-making and problem-solving perspectives. Everyone has a role to play in creating a more inclusive workplace, but senior leaders can have a much greater and enduring influence. Board or executive level leaders have the power and influence to drive through organisational change. And diverse senior leaders send a powerful – and often very visible – signal that an individual’s background is no barrier to career progression within an organisation, providing inspirational role models to those coming through the ranks. However, whilst progress has been made in some areas of boardroom diversity in recent years, overall change in some sectors has been slow and sluggish. The number of female board members is on the rise, but is still a long way from achieving equality with men. Evidence suggests there are both glass ‘ceilings’ and glass ‘walls.’ The overall percentage of women on boards was around 22% in 2017, according to figures from the Guardian. Also, the Parker Review, published in November 2017, found that only 8 per cent of board members in the FTSE 350 were non-white even though 14 per cent of workers came from ethnic minority backgrounds. Moreover, there is no openly out LGBT+ CEO of a FTSE 100 company and the fact that no official or reliable data exists to show the number of disabled board directors perhaps tells its own story. Part of the reason for the snail’s pace of change is that opportunities to make new permanent senior hires are few and far between for most organisations. So, even if the appetite for a move to a more diverse leadership team exists, it may take years to achieve. This is where hiring interim executives from diverse backgrounds can play a role, since interim executive roles arise far more frequently. This could be a great opportunity to introduce a more diverse candidate who – even within a limited timeframe – can have a major impact. In fact, the idea that small changes can make a big difference to wider organisational culture has gained credence in recent years, following the publication of influential books such as ‘Little Bets’ and the idea of ‘Trojan Mice’. These management theories suggest that – rather than wait for a huge, grand plan – organisations should instead focus on making lots of small changes that catalyse wider change. The hiring of diverse interim executives can be one of these – quickly introducing fresh perspectives and a diversity of thought that is unhindered by groupthink. So how do you go about finding a diverse interim executive? 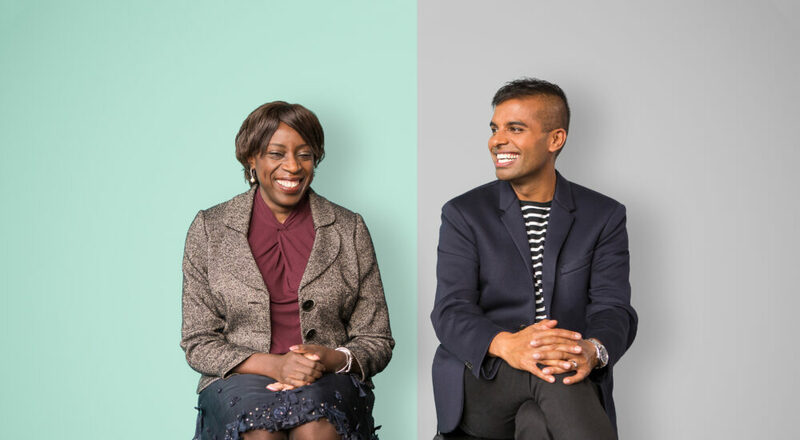 If your executive team is – like many organisations – not particularly diverse, then the chances are that your network is likely to be lacking in diversity too. Similarly, inbound CVs, and candidates sent by your investors are likely to reflect their own gender and ethnic make-up. This can be addressed by actively sourcing outside your immediate network. That might mean working with a specialist diversity recruiter like Audeliss with the network, resources and in depth understanding to bring about positive cultural change through hiring. You can also increase the diversity of inbound candidates by choosing meet-ups, conferences, and communities that are themselves more diverse — though this is a longer-term strategy and has to be approached authentically. Of course, hiring diverse interim executives is no substitute for putting in place permanent diverse candidates, but it can help kick start a long overdue process of change and help your organisation reap the benefits of a broader diversity of thought. For more information or advice on hiring diverse interim executives contact Jonathan Swain or Chris Bernard. This article has been featured in the Executive Grapevine’s Interim Management Guide 2018.